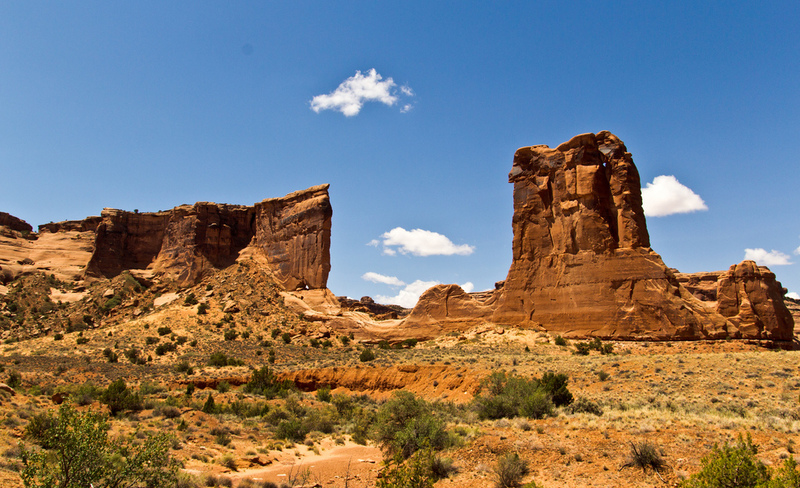 On August 22, the Utah Insurance Department released proposed rates for individual and small group health insurance plans that will be offered through the Utah Health Insurance Exchange starting October 1, 2013. Plan coverage will begin January 1, 2014. Utah is defaulting to the federally-run exchange model for their individual health insurance exchange, and is running their own state-based small business exchange, called Avenue H.
Molina Healthcare of Utah Inc. These six insurers submitted a total of 99 plans that have been recommended to the U.S. Department of Health and Human Services (HHS) by the Utah Insurance Department. HHS will review and finalize the plans. The following table provides a sample of exchange "silver" individual plan premiums by age and county. These are premium rates before any individual health insurance tax subsidies are applied. If eligible for the tax subsidies, the actual amount a person would pay would be reduced at the time of purchase. The tax subsidies are available for consumers with income four times the federal poverty line (making up to ~$45,900 for an individual and ~$94,200 for a family of four in 2013). For sample health insurance tax subsidy charts, see this article. Note: The family rates apply to a family of 2 parents age 40, with 3+ children under 21. Table source: State of Utah. These three carriers submitted 70 plans that have been approved by the Utah Department of Insurance, and will be reviewed and finalized by HHS. 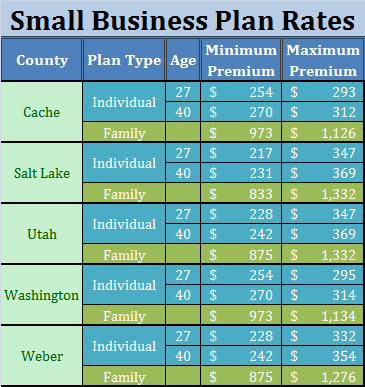 The following table provides a sample of the small group plan premiums by age and county, also for "silver" rated plans. 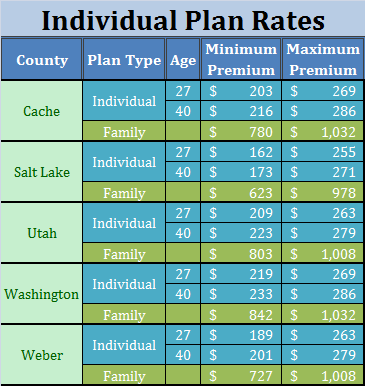 What do you think of the Utah Health Insurance Exchange rates for individual and small group plans? Join the discussion by leaving a comment below.